Available to independent shops only. 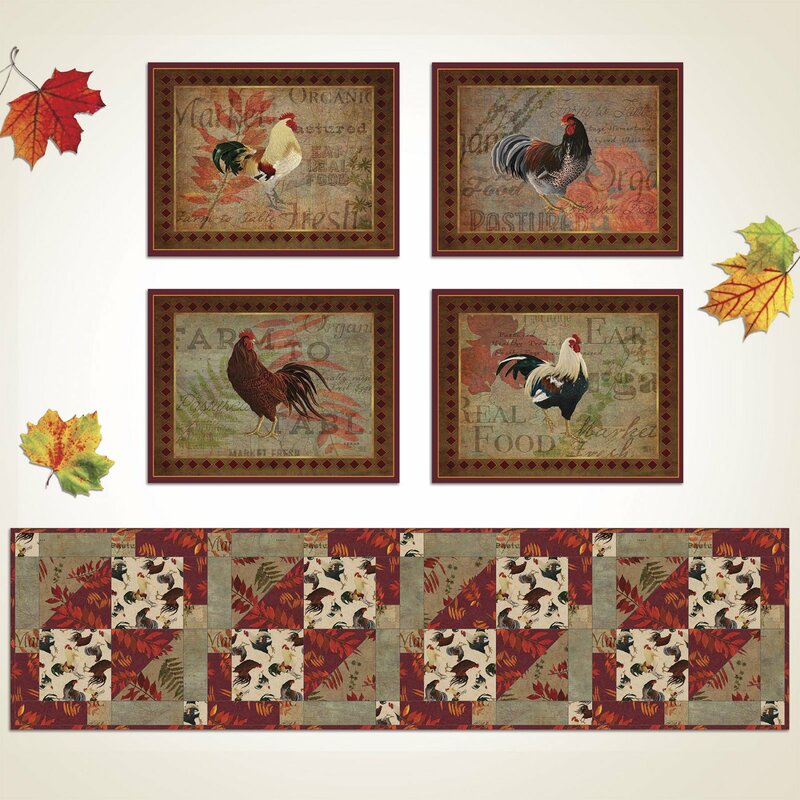 Check with your local shop for 3 wishes fabric® to make this quilt in the Rustic Roosters collection! Finished Table Runner Size: 16 ½" x 64 ½"
(4) Finished Placemat Sizes: 13 ½" x 17 ½"
Table Runner Batting 18" x 66"